There something about a player whose mustache gap matches his tooth gap, which in turn matches his helmet logo gap. 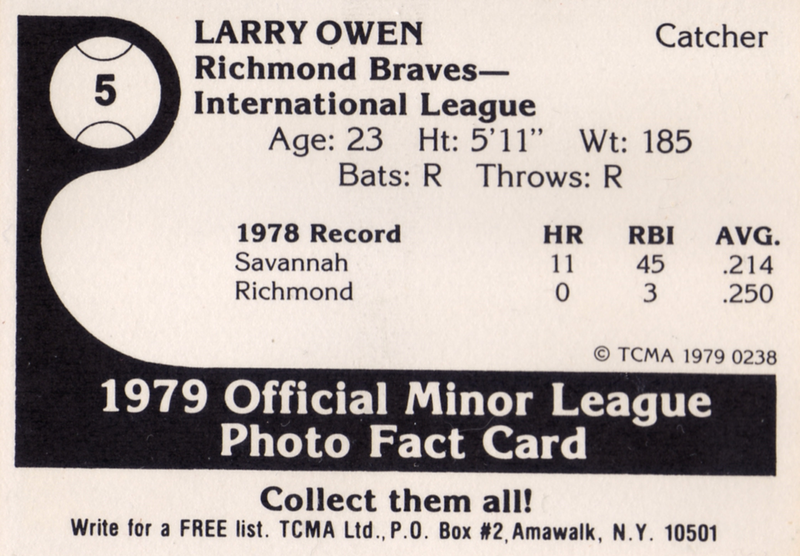 Symmetry, thy name is Larry Owen. Atlanta signed Mr. Owen in 1977 and shepherded him through three minor leagues before a cup of coffee with the Braves in 1981. He never hit well, but catchers--especially backups--get a break on offensive demands, since they spend a ton of time warming up relievers, timing opposing pitchers, and performing other manager-like duties. Larry spent just one full year in the bigs, playing 76 games with Kansas City in 1987, and set career highs in homers (5) and RBIs (14). 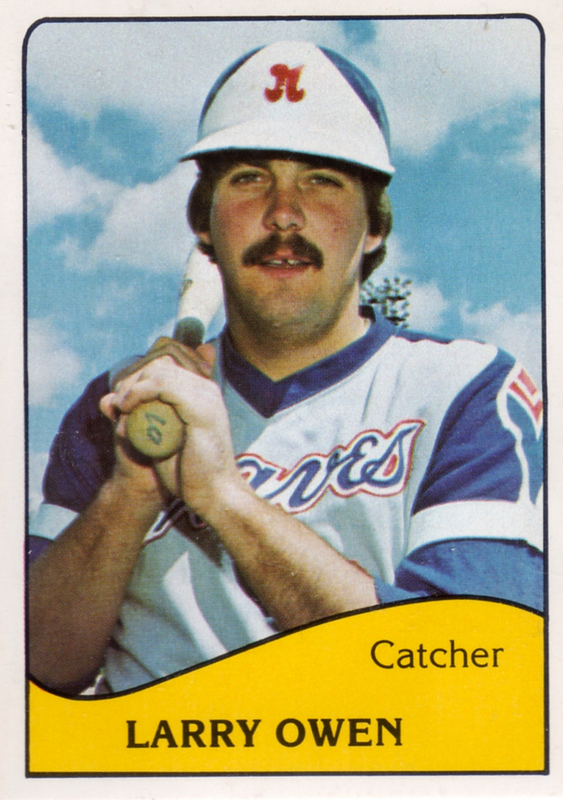 He retired following their 1988 season, as career catchers often do once the years catch up with their knees. Value: Bought this for $2 from MinorLeagueSingles.com. Fakes / reprints: Haven't seen any TCMA fakes in the marketplace.